Seems to be a prototype game or small production run on flimsy cardboard from the 1970s or early 1980's I believe. Very simple components. 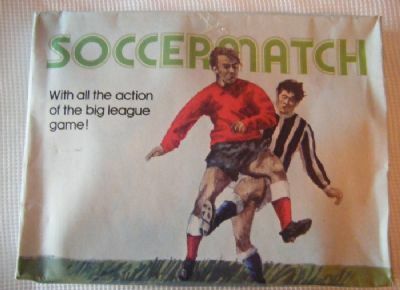 Classic pitch and figures type of game. Box cover printed on flimsy card. 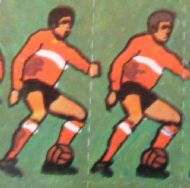 Close up shot of player figures on thin card. 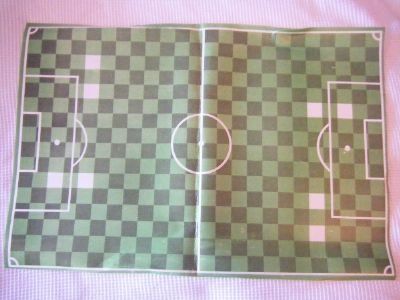 Card pitch on thin card. 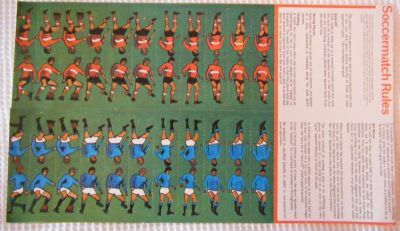 Uncut sheet of teams and rules for the game.